At first glance, a QR code looks like some sort of abstract art. The black and white squiggly lines don't look like the next big thing in marketing and advertising. But suddenly the symbols seem to be everywhere- in store windows, on printed advertisements, business cards and Realtors' signs outside homes for sale. They're easy to overlook for those who don't know what they are. But those in the know are using and exploring this next generation of bar codes. Short for "quick response codes," QR codes are meant to be scanned with a smart-phone camera rather than at a cash register. The squiggles connect your phone immediately to additional information about the business - a website, a video or an interactive map, for instance. Scan the code on a movie poster, and it may take you to the movie trailer. Scan a code at the Gap, and you're taken to a website about Gap jeans. For the record: QR codes are not new. They date to the 1990s, but with the proliferation of smart phones, the use of QR codes has exploded. As awareness spreads, businesses and marketers are racing to figure out how to use the codes to attract shoppers. "We're getting all the right things happening in the market right now," said Mike Wehrs, president of Scanbuy, a N.Y. company that is one of the leading companies in QR code development and management. "It's growing very rapidly. ... It's not something where you'd say people don't know what's going on. But it's not 100 percent out there yet, either." Scanbuy's data shows that QR code generation and usage has increased by 700 percent since January, with the number of scans in the United States increasing from 1,000 to 1,500 a day to 35,000 to 40,000 a day. Many users are just experimenting as they become aware of the codes and what they do. Andretti Brown is a graphic designer from Raleigh and has just started dabbling in QR codes. He said he noticed them awhile ago but didn't know what they were. Then he started researching them. "I call myself a nerd, and I just kind of noticed," said Brown, 33. "I just kind of wanted to be ahead of the curve. ... A lot of my friends are confused about what it is. It's so young that people don't really understand what to do with it. But once it starts getting pushed more, then I think it's going to be a lot better." That kind of interest has spurred Best Buy to invest heavily in increasing the availability of QR codes in its stores in time for Christmas shopping. In May, the retailer ran a QR code in a weekly sales flier that linked to a promotional trailer for the new "Super Mario Galaxy 2" video game. The company is now in the process of replacing all of the product tags in stores with tags that include a QR code. Customers who scan the code are taken to a website where they'll find consumer reviews and more information about the product. Best Buy began adding the QR codes to product tags in August and is now seeing about 3,000 scans per day from stores. "The way we look at QR codes is, it kind of gives you a central connection for Best Buy between the physical world and all that's possible in the digital world," said Ben Hedrington, director of connected digital solutions for Best Buy. Other companies and businesses are experimenting with QR codes in other ways. Delta Airlines is using QR codes in conjunction with its iPhone app to let customers check in for flights in almost 30 airports by showing a QR code on their phone, rather than presenting a paper boarding pass. The N.C. State Fair last month used QR codes to conduct a scavenger hunt. And real-estate agents such as Cary, N.C., Re/Max Realtor Beth McKinney are using QR codes to direct passers-by to listing information. McKinney has started placing QR codes on the signs outside homes she has listed for sale. She also has a QR code on her business card. "Our Y generation is extremely techy, to the point that we've discovered that they don't even pull fliers out of the boxes by houses anymore," she said. "They just type it into Google or go right to the website. So each one of my listings has a QR code." 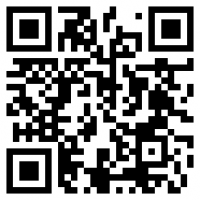 The biggest drawback to using QR codes is that they require a smart phone. Estimates vary, but generally it is believed that 25 percent to 33 percent of the U.S. population owns a smart phone, said Michael Becker, North America Managing Director for the Mobile Marketing Association. Depending on the phone, users may have to download a QR code reader or an app that will allow them to use the codes, though newer phones may have one pre-installed. "The reality is that they require a scanning app on the phone, and many consumers are now just getting used to the smart phone," he said. That said, the consumers already using smart phones and QR codes are the ones most valuable to companies: tech-savvy shoppers who have money to spend and don't mind spending it. Scott Bowen first noticed the codes on a trip to Manhattan with his wife a few weeks ago. "We were downtown looking at all the billboards and there was a huge billboard for a video game, and it had a QR code on it," he said. "That took you to a preview of the game. I thought of that as a very interesting way to get the word out. I'm a technology person, so anything like that I'm interested in." So Bowen, who co-founded the Cary group-buying site Twongo.com, came home and made a QR code that links to twongo.com. But he's not ready to deploy a QR code advertising campaign for Twongo yet. "We're honestly just playing around with it at this point," he said. "We don't know what we're going to do. ... I think the possibilities are ridiculously endless, but how you package it is going to be the demise or success of QR codes." Though QR codes are taking the marketing world by storm at the moment, the possibilities run much deeper for QR codes and the broader category of 2D codes, said Becker of the Mobile Marketing Association. There are actually almost 40 kinds of codes being used to enable all kinds of new technologies, and as more people buy smart phones, the number of shoppers using the codes will only increase. Stores could use codes to offer coupons, put your loyalty card information on your smart phone and provide things like contact information and a map all with one scan. Companies that offer Wi-Fi could embed the log-in and password information into a code that is scanned at the register to make sure the people using their network are actually patrons of their business. QR codes could also be used to give information about events, sign people up for e-mail lists or trigger an automatic text message to a specified number. There are even experiments that would make images of certain products behave like bar codes when scanned. For instance, scan a picture of a digital camera, and you would automatically be taken to the Amazon.com page where you could buy that camera. Others are exploring other options in other fields. McKinney, the real estate agent, made a QR code that takes the user to a page full of information about her husband's heart condition. She attached the code to his driver's license so that medical professionals can access his medical records in case he has an emergency. "At some point this will be commonplace," Becker said. "Put it on every single point of sale display and every single box in the world, and every consumer will understand what it is and how to use it." (c) 2010, The News & Observer (Raleigh, N.C.). And thus Internet Spam takes its first steps out of cyberspace.